Large package fee included in shipping fee. Door Frame Seals, Standard Kit 33C, 1/2" thick x 1-1/2" wide, is an easy-to-install solution that effectively seals perimeter of door against jamb. A gasket along edge of lightweight aluminum presses firmly to create airtight fit. 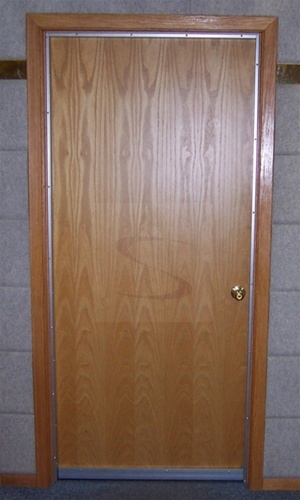 Door Frame Seals Kit 33C includes two 7' length sides and one 3' top. Door bottom shown in the photo is sold separately. 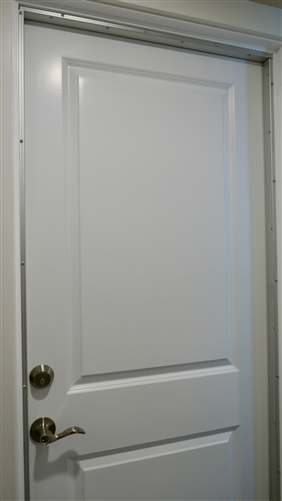 Install Door Frame Seals on door frame in place of jamb to maximize opening. 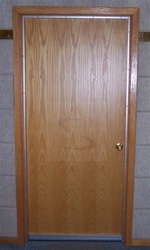 Alternatively, install Door Frame Seals directly over existing jamb. Fits standard 6'-8" doors up to 36" in width. Also available in heavy duty Door Frame Seals Heavy-duty Kit 599C.